Voted Best Online Weight Loss Coach, Shelley's Process and her client's success get featured in the news! 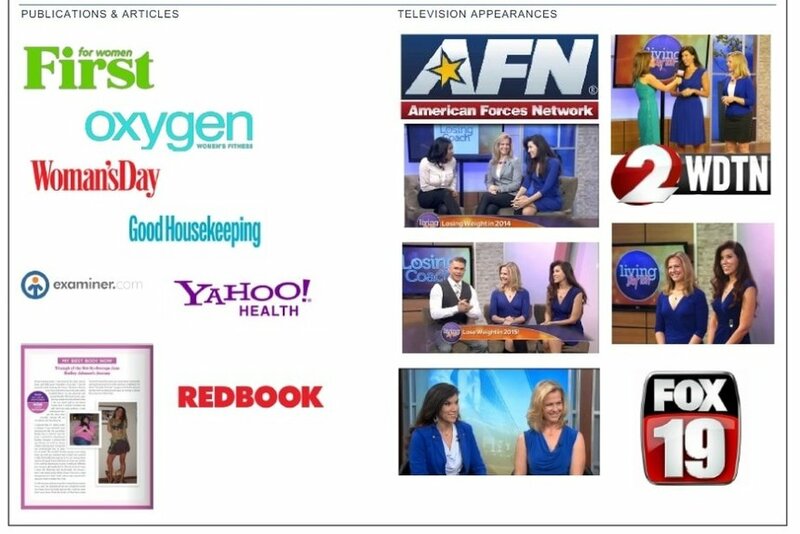 Shelley Johnson is featured in numerous media outlets. Can you tell me about how your journey began, starting with your personal weight loss and how that turned into a business? I had struggled with my weight my entire life. After surviving quite a bit of medical trauma as a young woman and mother, including 2 emergency c-sections giving birth to premature babies, 2 near death experiences, and a hysterectomy at 34 years old in 2004, my weight sky-rocketed to 220 lbs. I was miserable both physically and emotionally. Out of pure desperation to save my health and my life, in January 2006, I cried out to God to help me lose weight. I decided I had to do it for real this time, without buying into any gimmicks, so I started to respect the science of weight loss by eating a little less and a little healthier. I started exercising in the privacy of my own home and tracking what I was eating, all while removing judgment and making all my own decisions about everything. I decided to keep it private, very, very private and not speak of what I was doing to anyone, nor allow anyone else to tell me what I should do. I successfully lost 90 lbs by October 2007. One day I was at my talent agency to audition for a commercial. There was my friend, Michelle, who was also a model and the director of the Mrs. Ohio Pageant. She asked me to compete in the 2010 Mrs. Ohio Pageant. I actually wanted to be a judge for the pageant, but she wanted me to compete. So I asked another friend, “What should I do? Judge or compete?” He immediately replied “You’re beautiful! Compete!” So I followed his advice and competed. I was delegated “Mrs. Dublin 2010” and was a finalist in the Mrs. Ohio pageant. At the pageant, I won the Mrs. Ohio 2010 Career Achievement Award. 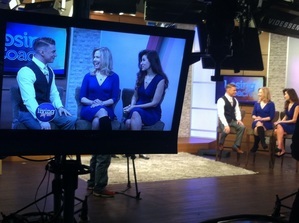 My interview question and platform was about bringing health and wellness to women in Ohio. So for the first time, I shared my story publicly on stage. It was after that that women started coming to me asking me to help them lose weight. This is when and how I began Losing Coach, in the summer of 2010. I started with helping just one woman. I started sharing my before photo more publicly and as soon as women saw it, they gravitated towards me. I even tried to explain that I was really “nothing”, I don’t have any kind of license, I’m not a personal trainer, no initials after my name, really I’m not anything. They didn’t care. They saw my before picture and they saw me now, and women everywhere were literally begging me to help them. So I started helping them. And one client at a time kept having real weight loss success. One after another, they lost weight. Literally, every client I coached, lost weight. My business grew rapidly. 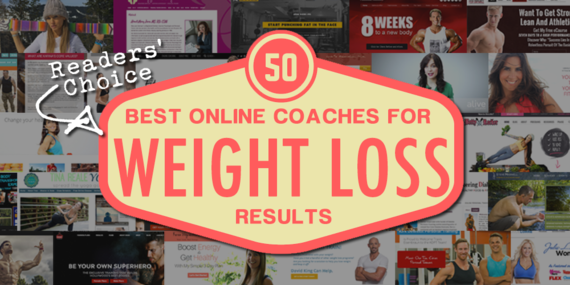 I went from private coaching, to holding workshops around the country, to now I have an online course and weight loss support group, where women world-wide can sign up for. My program has reached women all over the world including USA, Canada, Mexico, Singapore, India, Ireland, Greece, England, Portugal, Brazil, and others! It’s a program ANY woman anywhere can use because you can eat any kind of food you like or prefer; there is no specific menu to follow. It is about making decisions that work for your lifestyle. It’s an international business now. How has your life changed since you started Losing Coach? More than I can explain!!! I have had the privilege and honor to know and help so many women! Thousands I have reached, and hundreds of them I have coached personally. The window into a woman’s heart is truly AMAZING. There is so much love and so much beauty, it has changed me. Women have trusted me with their truest desires, their deepest wounds, and their real, raw feelings. The removal of judgment and restoration of love they experience as I coach them opens up the most beautiful thing one can see – the inside of a woman’s heart. It’s beautiful. It has changed who I am as a person. The privilege to experience and see their weight loss success is amazing!! Truly nothing makes me happier than to see the successful weight loss of my clients!! Can you tell me a little about how your coaching system works? Can you go over the 7-step process (as much as you can since it’s obviously proprietary information)? Through truth, humor, dignity and love, I teach women the process I created that helped me lose 90 lbs. The Seven Step Process to Weight Loss Mastery trains the brains and heals the heart. It’s about making your own decisions to bring about the desires of your heart (weight loss). The bottom line is, and everyone really knows this, when it comes to real and permanent weight loss success, it comes down to the accumulation of decisions you make over time. Therefore, I help equip women to make these decisions in the midst of the lives, without putting their lives on hold, to lose weight. Why do you think so many people, especially women struggle with mental and emotional obstacles when it comes to weight loss? For women, there is an inherent connection emotionally and mentally with their bodies and their weight. It’s literally the way we are wired, the way we were created. Our purpose is to manifest beauty (beauty being internal). It pains women so deeply, as they have told me, in their words, that “their outsides don’t match their insides.” Because of this deep inherent emotional connection, the brain literally floods the temporal lobe with emotions and blocks a woman to be able to make decisions with their weight loss and body logically and rationally. At the same time, the brain increases the appetite from its complex neurological system, with the hypothalamus, which is triggered by emotions and memories. That is why I focus on healing the heart so much, as we train the brain to approach weight loss with truth and logic. Women have absorbed a lot of judgment throughout life, and so I teach them how to remove the judgment and restore love. They begin to separate their emotions from the science. Their emotions are respected and valued, just separated from the truth and science of weight loss. This experience is so powerful for women, it’s unlike anything they have ever experienced. Through the process, gradually over time, the brain decreases and regulates the appetite, and allows for easier and easier permanent weight loss. It seems to me that a lot of time people are embarrassed to admit that they are out of shape, and therefore don’t want to go to the gym and be surrounded by fit people. Does Losing Coach tackle this obstacle? Absolutely, yes! But it’s not necessarily about “Overcoming” this obstacle. It’s about a woman respecting her own dignity and if subjecting herself to public embarrassment does not protect her dignity, then I will advise her to protect her dignity and work out in the privacy of her own home or to do something else that protects her dignity, like the Seven Step Process to Weight Loss Mastery. If there is anything that we haven’t touched on that you would like to share? The Losing Coach® 7 Step Process to Weight Loss Mastery is not a religious program, but it is very holistic. When it comes to weight loss, it respects both the science and the art. The truth and the love. It’s like the yin and yang, the law and the grace, the faith and the works, for one is dead without the other. It’s so holistic and when all 7 steps are put into practice, weight loss is guaranteed. It’s so simple and yet, so holistically complete. I’m very passionate about what I do and I have LOVED every minute of creating and building my business. I have loved every client, every workshop participant and every woman who has ever contacted me. I TRULY TRULY LOVE what I do. It has been finding my true calling and purpose in life! !